We hold extensive stocks of many different veneers from all over the world, offering a wide choice of species, grain, figure and colours. All veneers are sustainably sourced. Finished samples can be quickly prepared to assist and confirm selection. Once we are actively working on a project, stocks of veneer can be held on reserve for that scheme. Working from architects’ or contractors’ construction drawings we prepare key plans; every door and panel is then individually identified by a reference code on the plan and during manufacture. 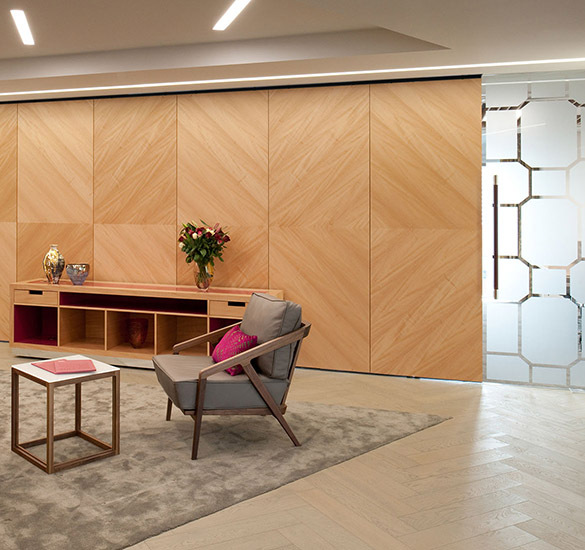 Frames, architraves, skirtings and fittings can also be co-ordinated within a scheme.